Our course is not approved in Colorado. Colorado requires live training. You may still take the course which may make you eligible for Liquor Liability Insurance discounts. What is the minimum age to sell/serve alcohol in Colorado? The minimum age to serve alcohol in Colorado is 18. Certain restrictions apply: On-premise with supervisor that is 21; On-premises that do not regularly serve meals, all employees must be 21 years of age or older. The agency that handles Colorado liquor licensing and/or bartender licensing rules and regulations in Colorado is The Colorado Department of Revenue - Liquor Enforcement Division. The contact information for The Colorado Department of Revenue - Liquor Enforcement Division is listed below. You can contact them to verify that online server certification (bartender license) can be obtained in Colorado. We have also listed that information where applicable. 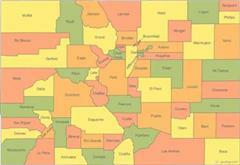 CO Happy Hour Laws: The State of Colorado does not have state-wide Happy Hour Prohibitions. Such laws may exist in your city or county. Check with your local jurisdiction for any restrictions. Yes. You can serve as long as you had complied with the stipulations and agreement of such felony charges. If he/she submitted an application to register as a manager of the licensed premises the local licensing authority may deny or approve of the application. The owner of the liquor establishment can be denied or employ if he or she had the felony conviction.